'Mirotec Corporation' was established in the year 1997. 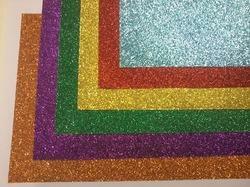 We have emerged as an accomplished manufacturer, wholesaler and supplier of Precision Cut Glitter Powder. 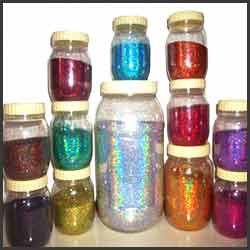 Our product range encompasses Glitters Powder, Glitter Paper, Polyester Glitter Powder. 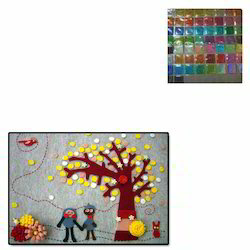 Our professionals make sure to use high grade ingredients, which are procured from authenticate vendors of the market. Furthermore, this powder is widely acknowledged in diverse industrial applications. 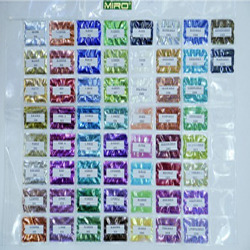 We have string R&D unit that helps us in figuring out new and innovative methods to improve our existing range of powder. 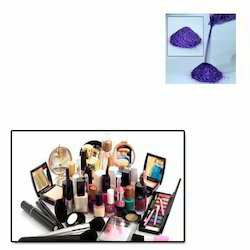 In addition to this, for formulating these powders, we have established a modern processing unit that is equipped with latest technology and machinery. 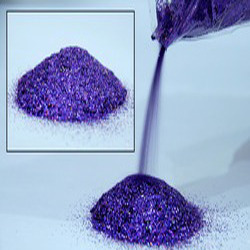 Furthermore, we formulate high quality glitter powder in hexagon shape in different sizes ranging from 0.004 to 0.040 . Moreover, in order to deliver the excellent-quality of powders, we have set up a quality management system in which our quality inspectors test these products after regular intervals. We are blessed with a team of competent professionals, which works relentlessly to help us in achieving our predetermined goals.